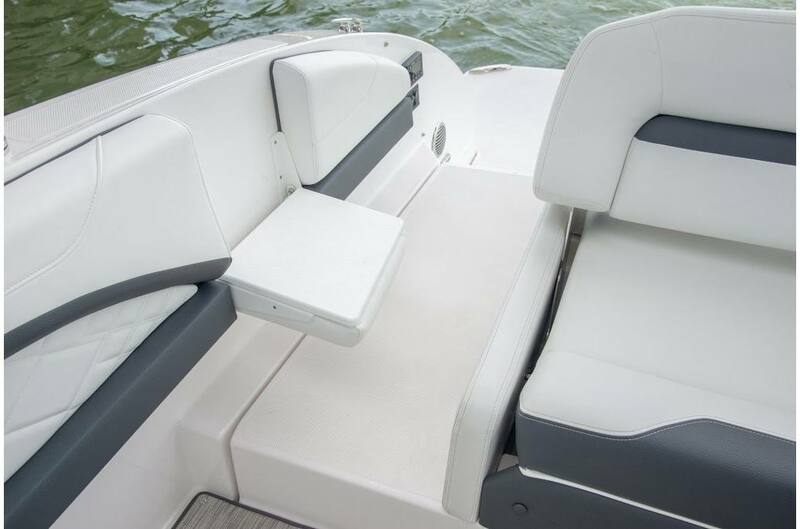 Multi-Position UltraLounge: Enjoy the transom in any position with the adjustable and versatile UltraLounge. 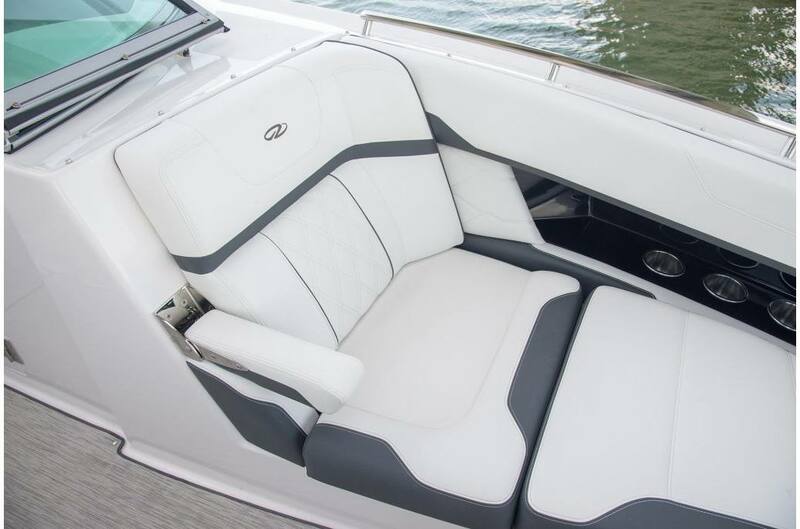 Double Social Seat: The multi-position backrest converts from a cockpit lounger to a bucket seat big enough to share. 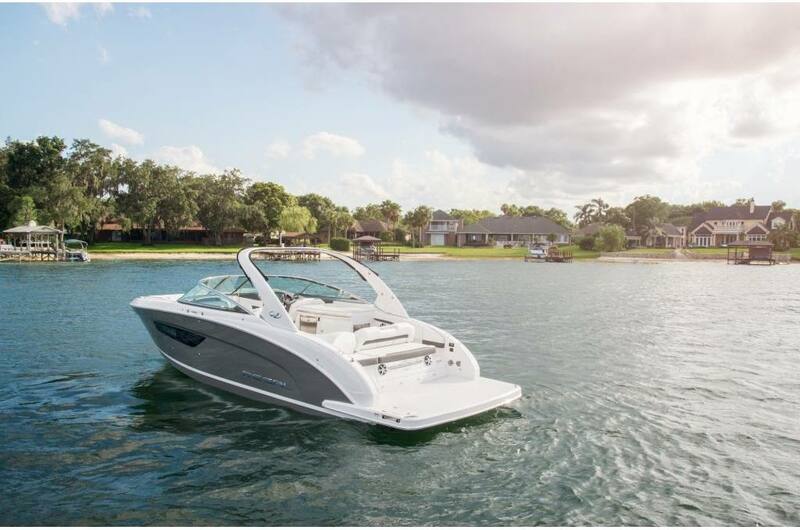 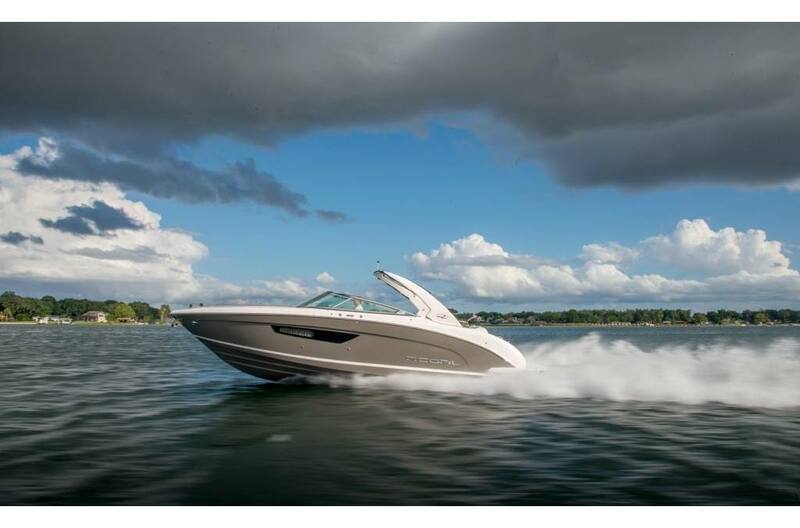 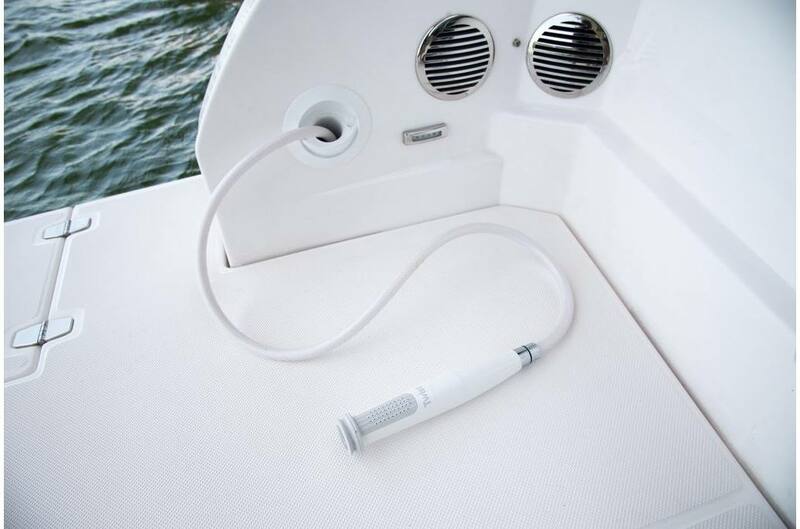 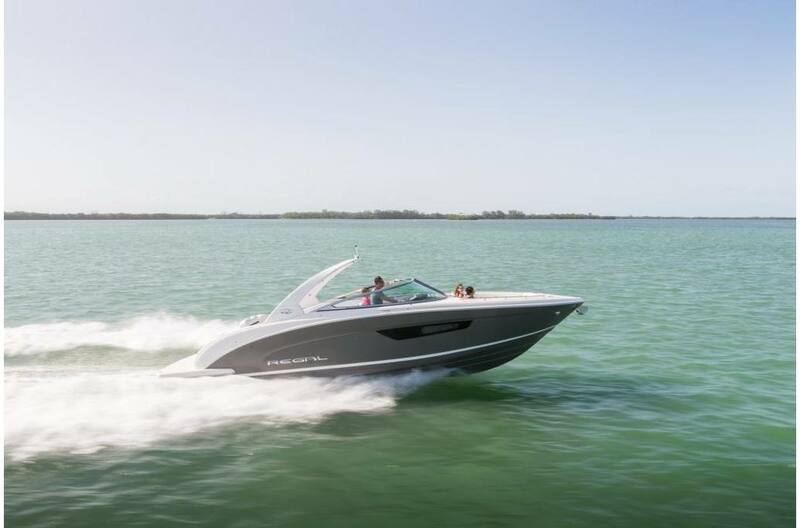 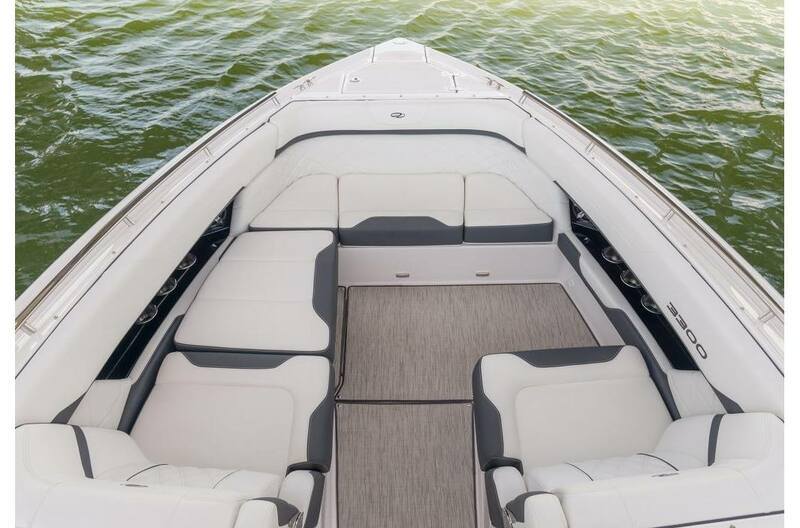 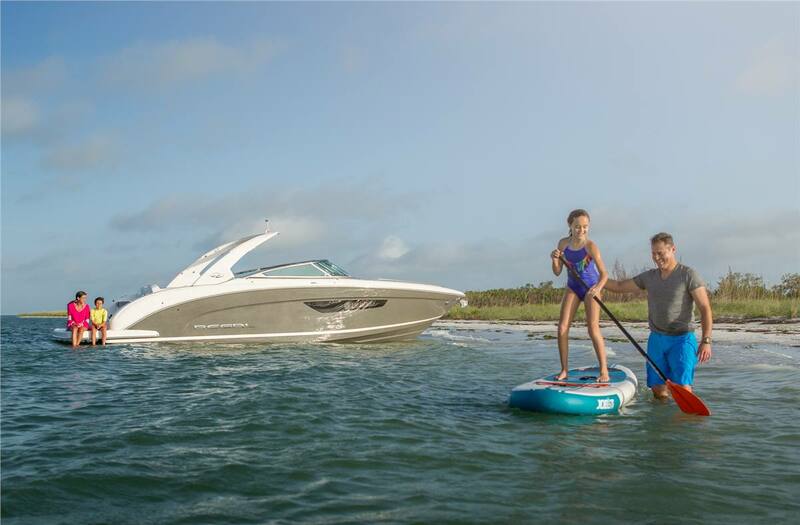 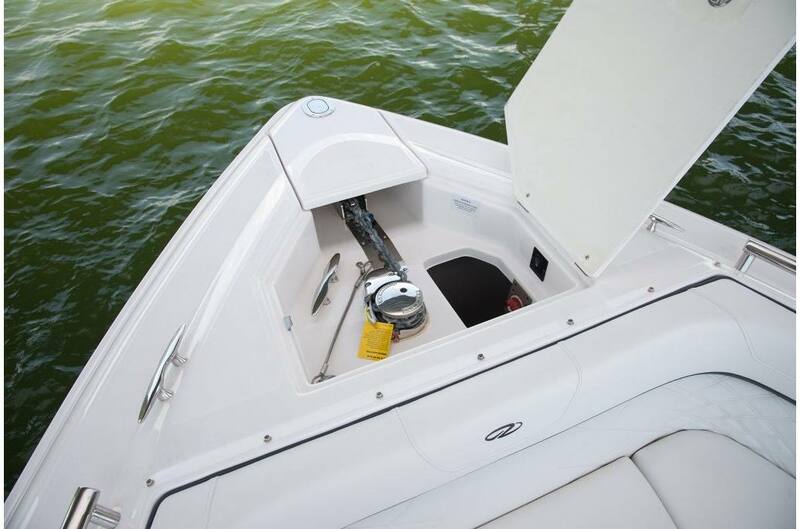 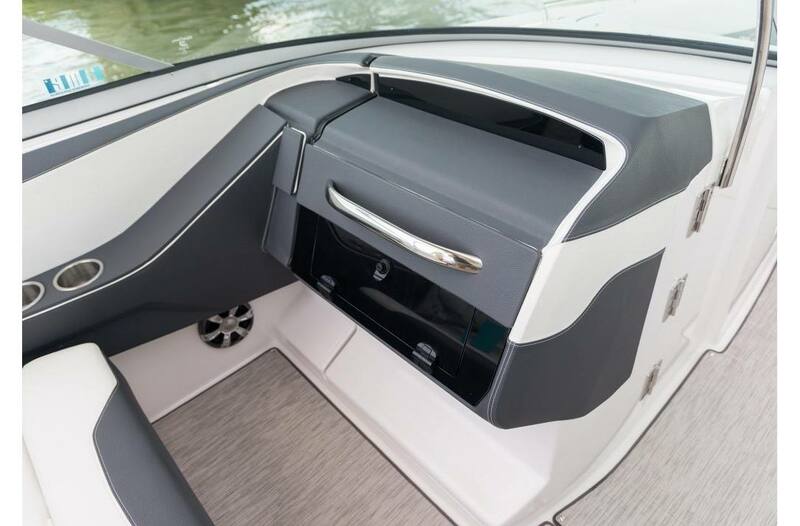 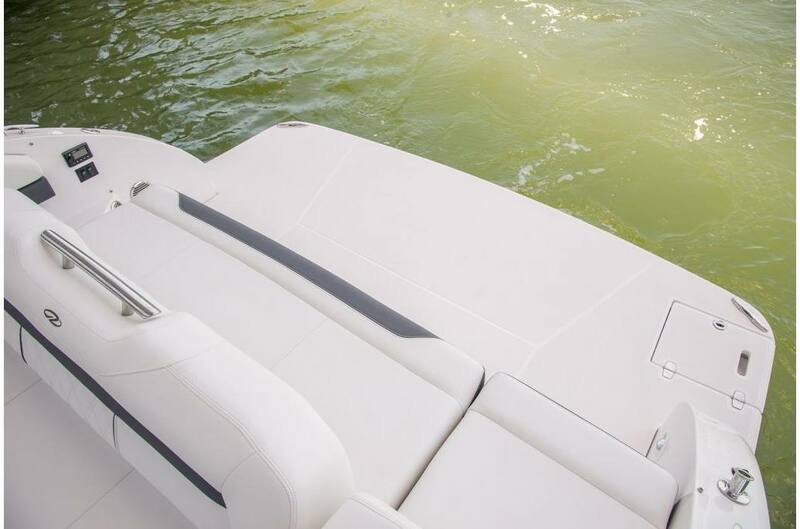 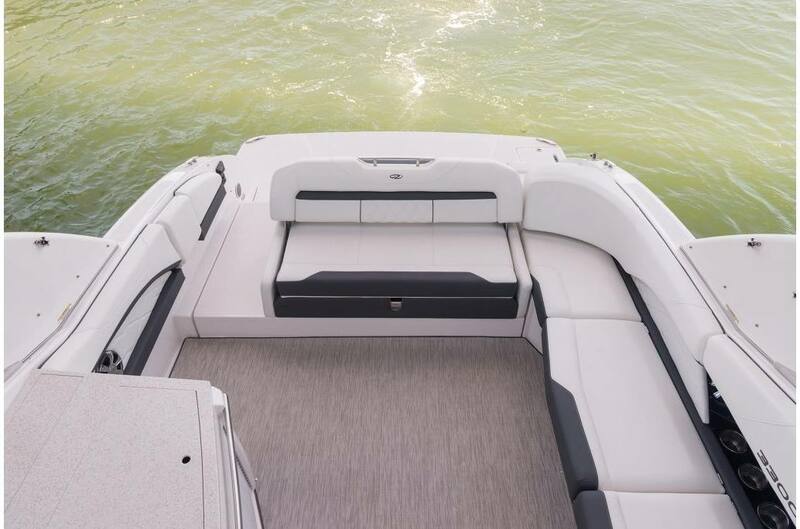 Power Package - Stay cool in your 3300 with 30 amp shore power, outlets, and cabin air conditioning by adding the Power Package. 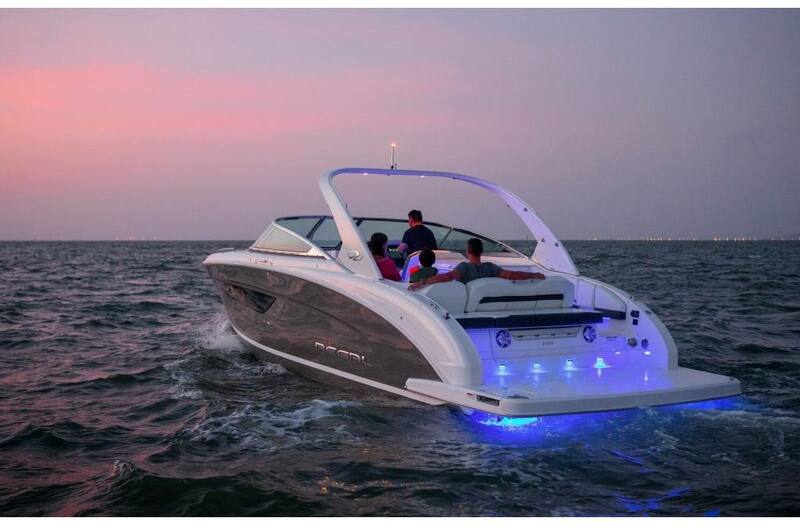 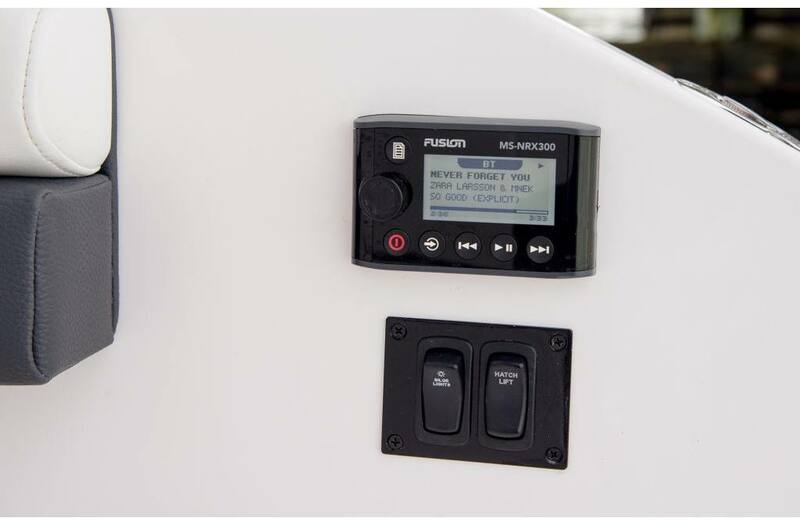 Technology Package - Equip your 3300 with a battery charger, stereo performance and lighting package, docking lights, and blue underwater lights by adding the Technology Package. 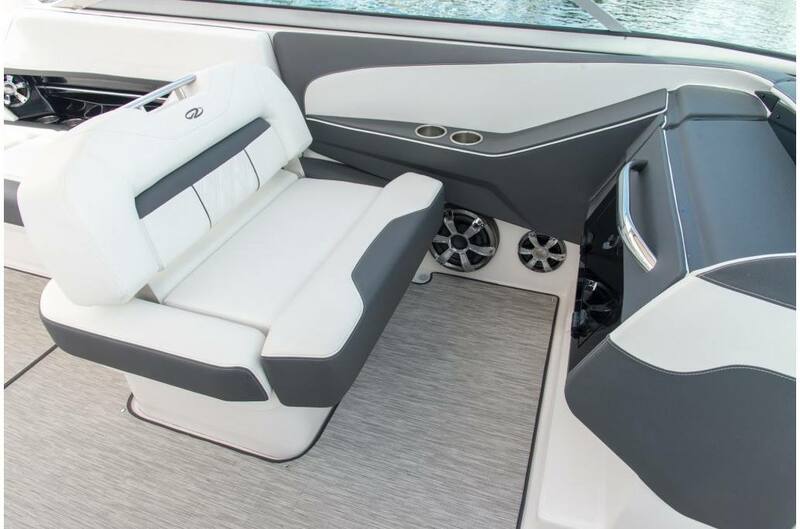 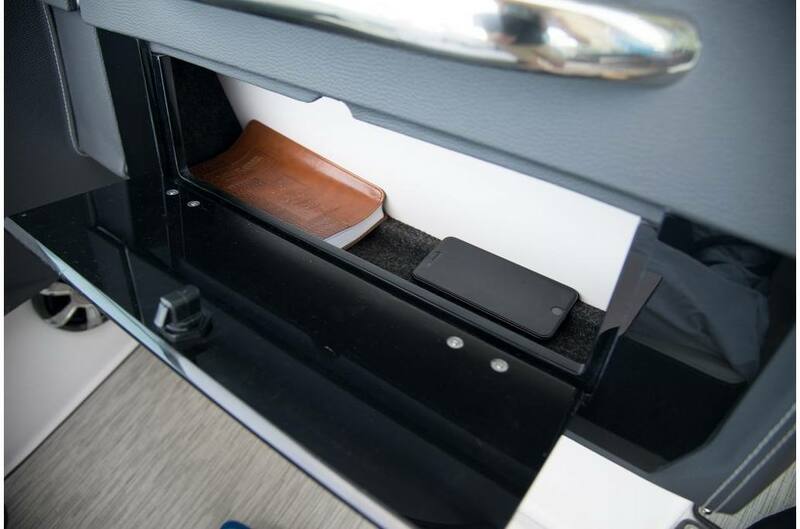 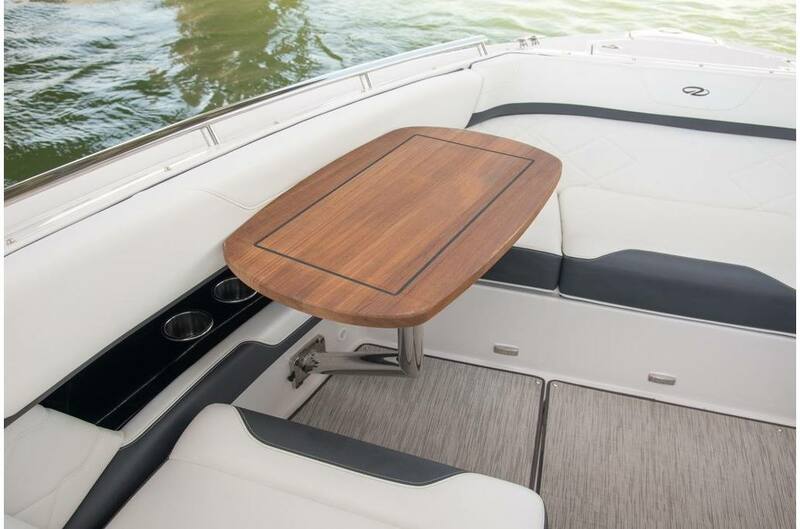 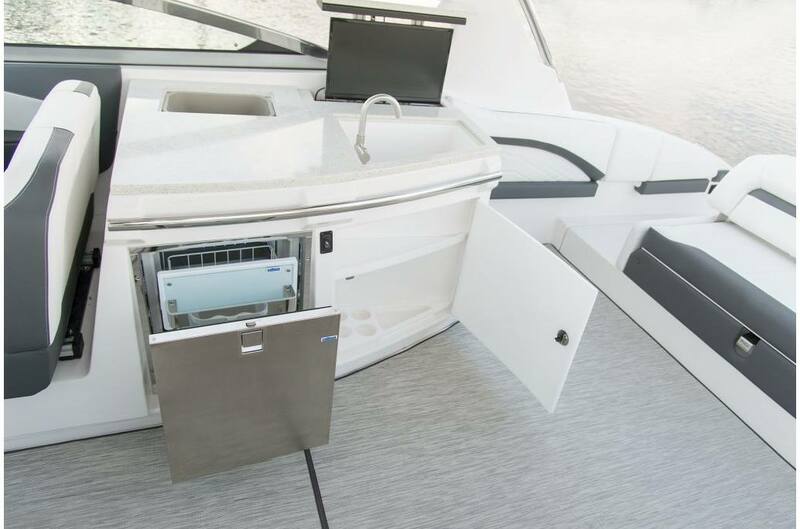 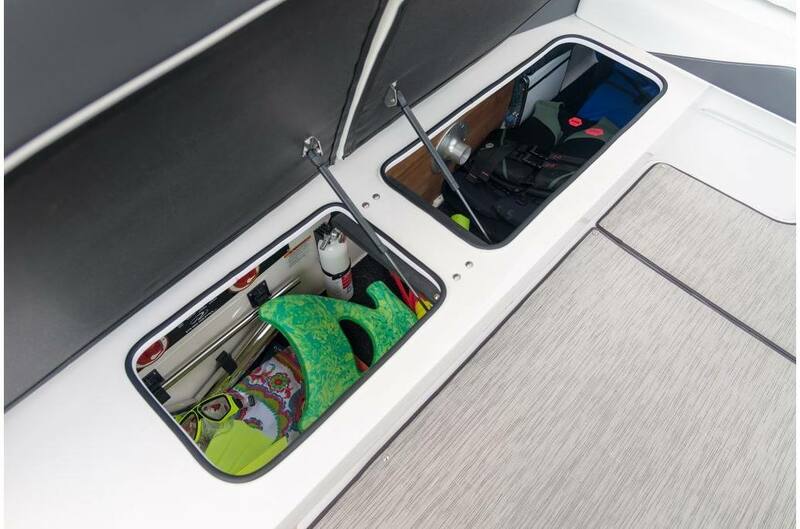 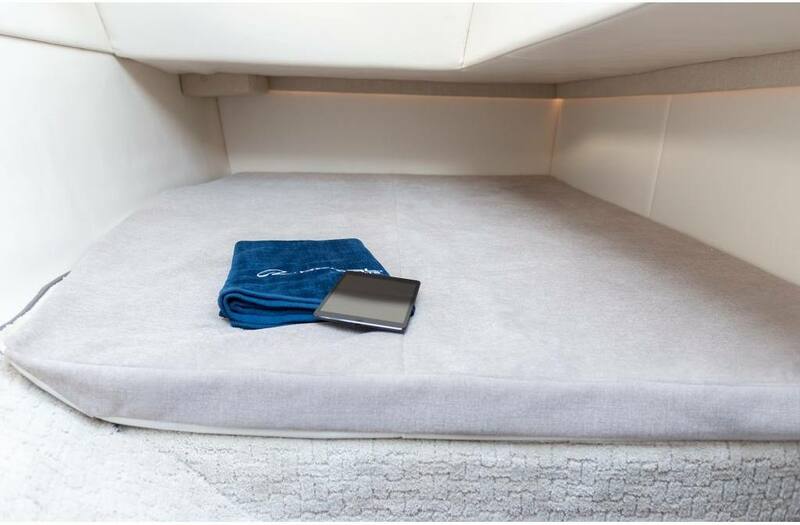 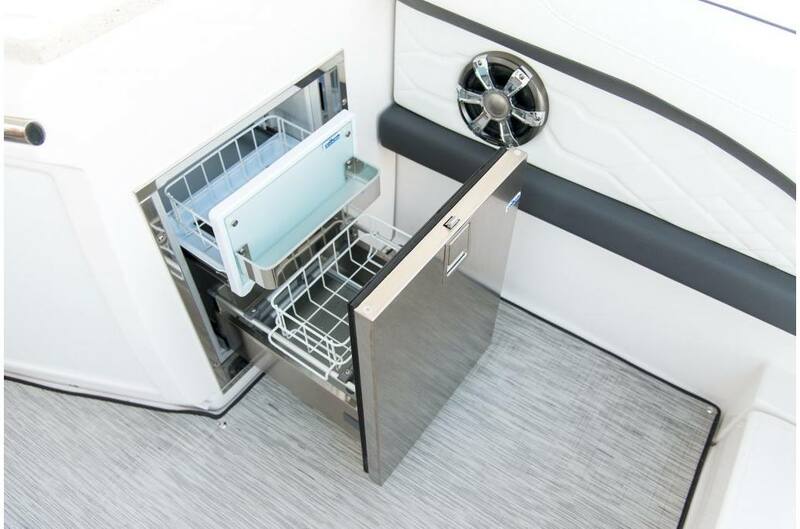 Premium Package - Equip your 3300 with an anchor windlass, bow filler cushion, cockpit table, storage mats, and platform cleats with the Premium Package option.